Today is the first day of another school year for our three kiddos -- 3rd grade, 1st grade and kindergarten. All three in elementary school this year! Breakfast of oatmeal was requested by all three (it was a chilly morning). And of course first day pics were taken. Magically even though there was a bit more on our list this morning for a first day, we were all in the car earlier than I expected. No "hurry up" calls up the stairs necessary for today -- likely the only time all year I suspect. 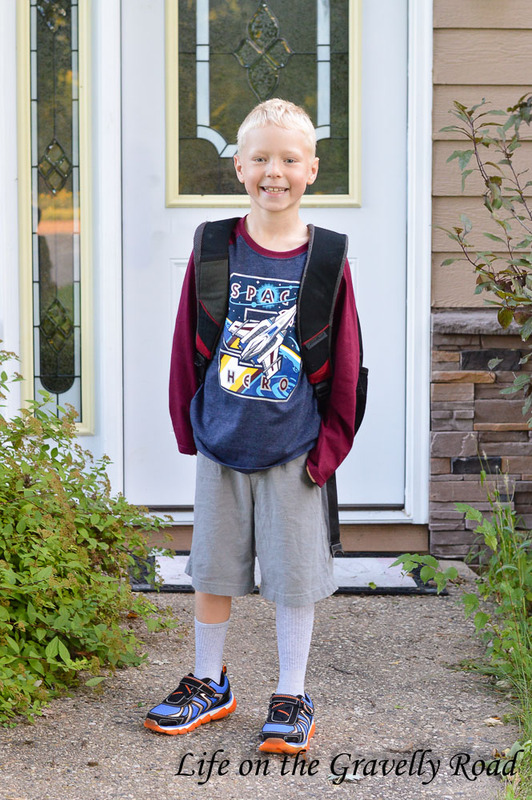 Ike starts third grade today. While he wished summer break was longer (more time for minecraft and legos), he was full of smiles today and looks forward to seeing his friends- especially since his best friend is in his class. I'm excited to see how God uses this year and third grade comes with more responsibility and big challenges. 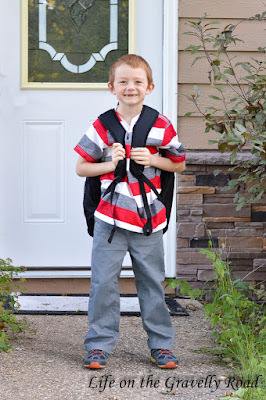 Zman is starting first grade today. He was so excited - especially since his teacher gave him "get ready confetti" to put under his pillow last night. He has a number of friends in his class and is really excited about his teacher this year. He was so sweet to offer to walk his sister into school and to her hallway. What a great brother! Peaches in kindergarten this year! She was excited and a little nervous about her first day today. 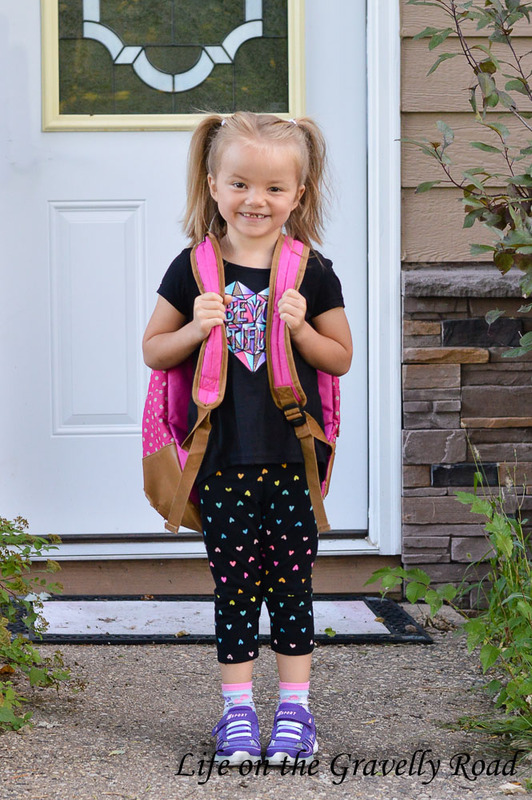 She is looking forward to seeing her friends in her class and having more special things happen during the day -- music, spanish, art, gym and lunch. She even gets to ride the bus home on her first day. She is so ready for kindergarten and I'm excited to see how God uses this big year for her. 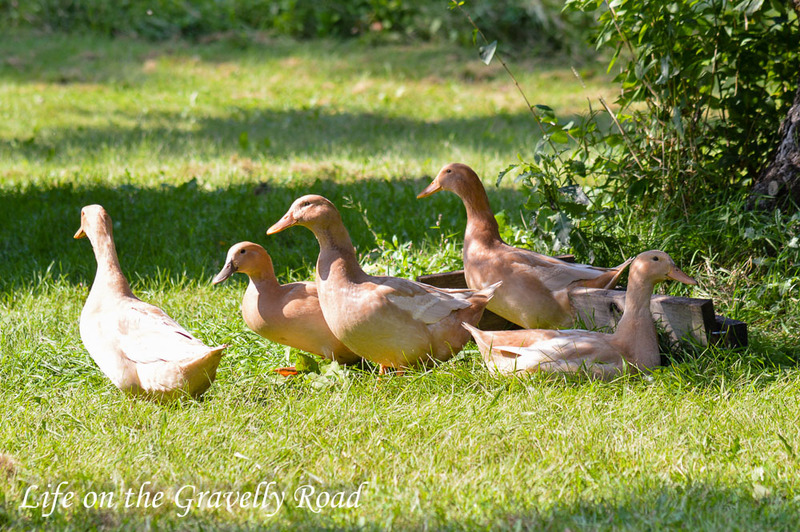 I can't wait to hear all about their first days when they return home to the gravelly road. 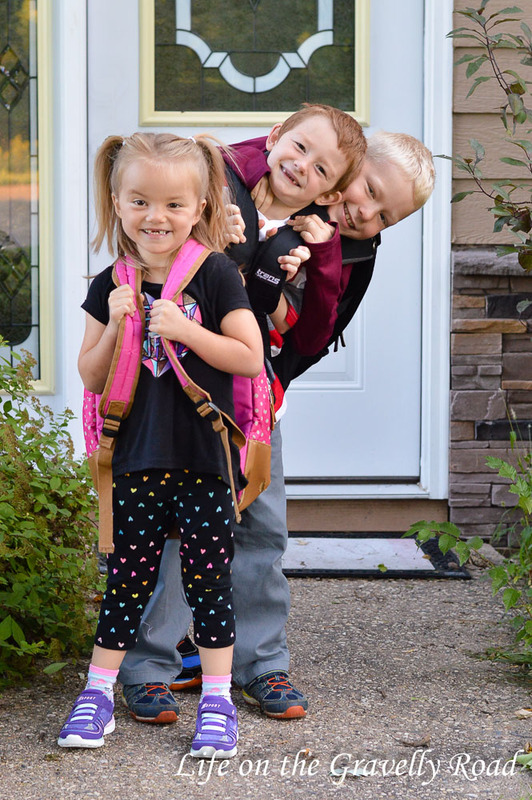 I ask for an extra special blessing on the school year adventure ahead of each of our three children. Each adventure is unique and will be used for your purposes in their life, though all three start a new phase today. Guide their teachers as they give instruction, encouragement, and build the tone of their classrooms. Grant them your wisdom for those moments when a child's tears or frustrated words are coming from a deeper hard place than just a tough morning. May their classrooms be places of learning and inclusion, a safe place to try, fail and try again. Watch over our three as they start and strengthen friendships, face challenges, try new things, handle squabbles with classmates, and discover more about the world and this thing we call education. Guide their words and actions so that they are kind and compassionate to those around them. Surround them with friends that bring out their best so that they can build each other up. Help them to be part of the good and amazing things you are doing in their school. Thank you again and again for allowing me to be the mom of these precious kiddos. I am so honored and challenged daily. They each are growing and changing so fast it often takes my breath away. 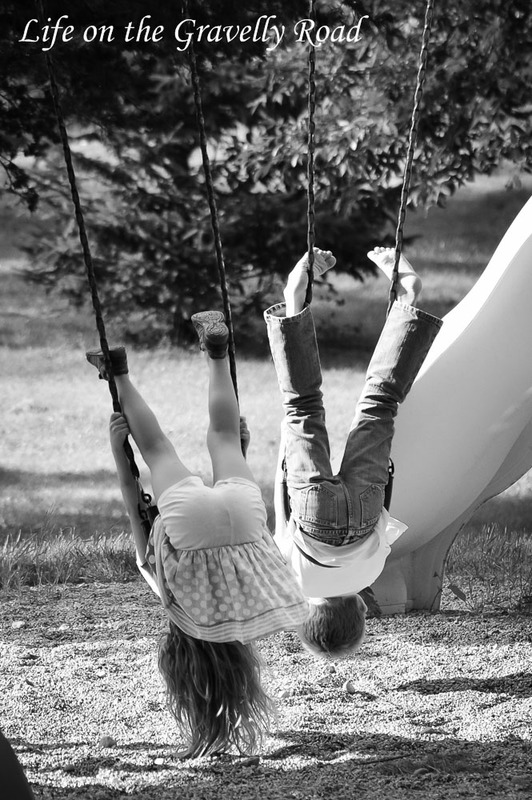 Continue to grow them into the people you called them to be and help me to help them see how you are working in their lives.